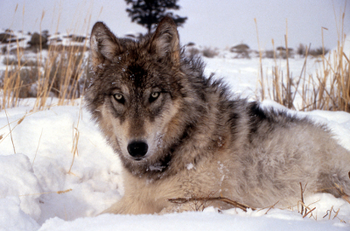 At least 33,000 years ago, humans began the process of domesticating certain members of the gray wolf species. Since that process began, humans have genetically manipulated canines to fill various roles – beginning with tasks that increased means of survival and later to simply serve as companions. Those evolutionary changes have been a benefit to humans, but have caused health issues within many dogs – because as we’ve bred for desired physical traits, detrimental genetic mutations have also been passed along within many breeds. The consistent selective breeding of canines has led to hundreds of breeds with standard and predictable attributes, or traits. For example, the short-legged, long-bodied dachshunds allowed them to easily enter underground tunnels and burrows of badgers and other small animals; long-eared, keen-smelling bloodhounds were bred to trail deer, wild boar and later humans; some of the oldest breeds, the sight hounds, which include greyhounds, whippets and saluki, were selectively bred for long legs, strong aerobic endurance, sharp eyesight and the desire to chase feathered and furred game. These consistent traits were brought about by mixing several different canines that possessed desired attributes (i.e., flat-coated retrievers were likely a combination of St. John’s Water Dogs and/or Newfoundlands, which contributed size, strength and a love of water; collies for trainability and intelligence; and setters for scenting ability) and then selectively breeding the puppies from these mixes that best demonstrated the most desirable traits to perform the job at hand. To consistently produce puppies that have consistent physical and behavioral traits, a sire and dam must share those similarities so as to increase the chances of the puppies displaying those same traits. Those observable traits (hair color, leg length, desire to please), or phenotypes, can be influenced by many genes. Genes that influence one physical attribute also may influence other physical or behavioral traits. By breeding for specific phenotypes, humans were manipulating the various breeds at the genetic, or genotype, level. These breedings might have produced the desired result on an observable level, but lurking in the genomes of these breeds are genetic changes, mutations, that are often undetectable (i.e., recessive). To further exacerbate the presence and inheritance of undesirable genetic mutations is the practice of line breeding; the act of breeding two closely related dogs (father to daughter, grandmother to grandson, brother to sister, etc.). While not a bad thing, if done with caution and genetic knowledge, line breeding ensures a more consistent phenotype – and in the beginning stages of creating a new breed is the only way to consistently produce similar dogs. With genetically similar dogs being bred together however, there is higher risk of producing a puppy with an undesirable genetic mutation. Because nearly every breed of dog was created to fill a working role for humans, phenotypic attributes were the paramount driver in the selective-breeding process. With that consistent physical and behavioral standard, as well as continued indiscriminate line breeding, genetic issues occur in nearly every breed of dog. However, genetic testing can tell you which mutations run in your dog’s lineage. It can be used to identify potential medical problems in a puppy you are considering buying, or, when applied prior to breeding, it can help you decide whether or not to breed a dog and which mate to pair it with to produce the healthiest puppies.